2013 ﻿The Chicago Athenaeum: Museum of Architecture and Design and The European Centre for Architecture Art Design and Urban Studies – A. H. McCoy Federal Building and Security Pavilion, Jackson, MS.
2008 American Institute of Architects – Shaw Center for the Arts, Baton Rouge, LA. 2007 American Institute of Architects – Lafayette College Library, Easton, PA (Schwartz/Silver Associate Architect to Ann Beha Architects). 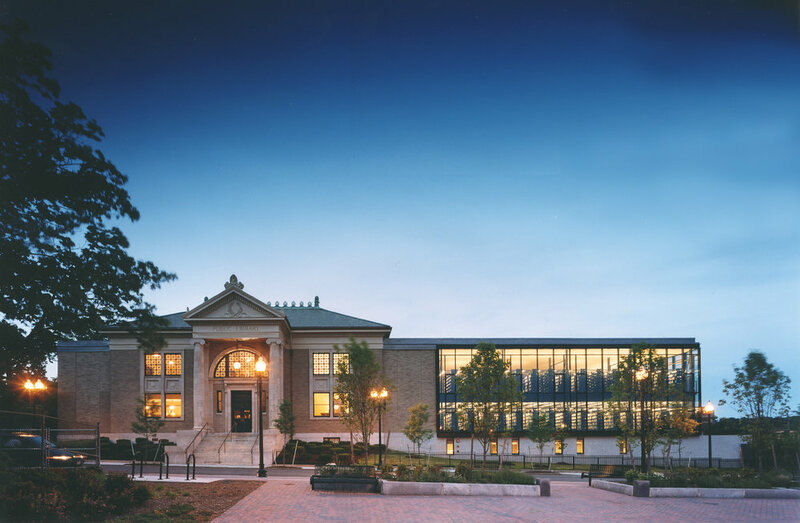 2000 American Institute of Architects – Hyde Park Branch Library, Boston, MA. 1994 American Institute of Architects – Firehouse Arts Center, Newburyport, MA. 1991 American Institute of Architects – 360 Newbury Street, Boston, MA (with Frank O. Gehry and Associates). 1990 American Institute of Architects – The House at Tanglewood, West Stockbridge, MA. 2013 AIA Mississippi – A. H. McCoy Federal Building and Security Pavilion, Jackson, MS.
2005 American Institute of Architects Gulf States Region – Shaw Center for the Arts, Baton Rouge, LA. 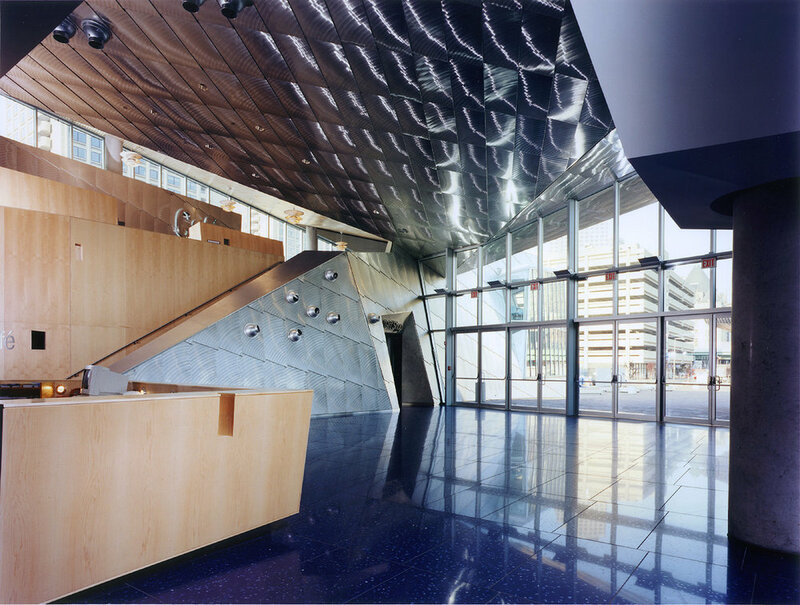 2005 American Institute of Architects New England Region – Shaw Center for the Arts, Baton Rouge, LA. 1999 Boston Society of Architects, Citation – The New England Aquarium West Wing Addition, Boston, MA. 1996 Boston Society of Architects – Two Rivers Landing, Easton,PA (with assoc. architects Wallace & Watson). 1992 Boston Society of Architects – Vacation House, Copake, NY. 1991 Boston Society of Architects – Firehouse Arts Center, Newburyport, MA. 1991 Boston Society of Architects – MIT Rotch Library of Art, Architecture and Planning,Cambridge, MA. 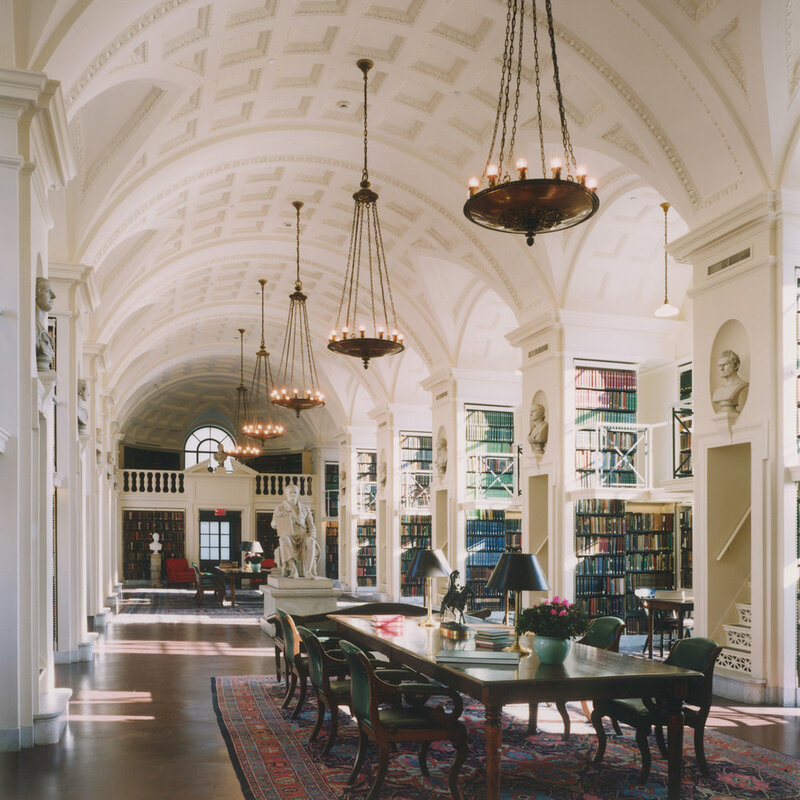 1990 Boston Society of Architects – The Wheeler School Library,Providence,RI. 1989 Boston Society of Architects – The Wellesley Fire Department Headquarters, Wellesley, MA. 1993 New England Regional Council of the American Institute of Architects – The Lazarus House, Copake, NY. 1988 New England Regional Council of the American Institute of Architects, Special Mention – The House at Tanglewood, West Stockbridge, MA. 1987 New England Regional Council of the American Institute of Architects – The Bellringers Bandshell, Boston, MA. 1991 New England Regional Council of the American Institute of Architects – MIT Rotch Library of Art, Architecture and Planning, Cambridge, MA. 1994 New England Regional Council of the American Institute of Architects – Firehouse Arts Center, Newburyport, MA. 1989 California Regional Council of the American Institute of Architects – 360 Newbury Street, Boston, MA (with Frank O. Gehry). 1994 Boston Society of Architects – Proctor Academy Learning Center, Andover, NH. 1987 AGC Performance Award – 313 Congress Street, Boston, MA. 1987 AGC Performance Award – Yankee Publishing Building, Boston, MA. 1999 Associated General Contractors of Massachusetts, Merit Award – The New England Aquarium West Wing Addition, Boston, MA. 1991 Associated General Contractors of Massachusetts, Merit Award – MIT Rotch Library of Art, Architecture and Planning, Cambridge, MA. 2011 Massachusetts Historical Commission, Paresky Commons, Phillips Academy, Andover, MA. 2006 Maine Preservation – Lewiston Public Library and Marsden Hartley Cultural Center, Lewiston, ME. 1991 The Boston Preservation Alliance – Lobby at 50 Federal Street, Boston, MA. 1991 Gold Medal of the City of Boston and the Boston Society of Architects – 360 Newbury Street, Boston, MA (with Frank O. Gehry). 1993 Gold Medal of the City of Boston and the Boston Society of Architects – MIT Rotch Library of Art, Architecture, and Planning, Cambridge, MA. 2010 Urbanism | On the Boards – A. H. McCoy Federal Building and Security Pavilion, Jackson, MS.
2014 Architecture, Construction, Communication Design, Interiors, Urbanism – A. H. McCoy Federal Building and Security Pavilion, Jackson, MS.
2000 Citation – Abbe Museum, Bar Harbor, ME. 2000 Citation – World Trade Center Marine Terminal, Boston, MA. 1998 Citation – Candela Laserspa, Boston, MA. 1990 Institute of Store Planners and National Retail Merchants Association – Domain, Burlington, MA. 1993 American Institute of Architects and the American Library Association – MIT Rotch Library of Art, Architecture and Planning, Cambridge, MA. 1987 Boston Society of Architects – The House at Tanglewood, West Stockbridge, MA. 1994 Proctor Academy Library & Learning Center, Andover, NH. 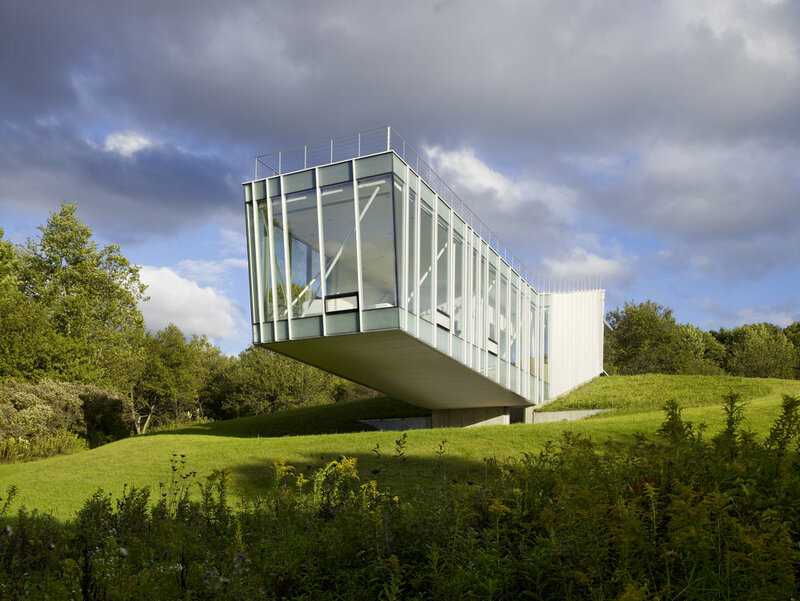 2000 AIA New York/Boston Society of Architects – Weekend House, Cape Cod, MA. 2013 Architectural Access Board and Boston Society of Architects – Paresky Commons, Phillips Academy, Andover, MA. 2011 A. H. McCoy Federal Building and Security Pavilion, Jackson, MS.
2007 The Charles Chu Asian Art Reading Room, Connecticut College, New London, CT.
2006 Architectural Access Board and Boston Society of Architects – Hyde Park Branch Library, Boston, MA. 2005 Princeton Preservation Society – Princeton University Andlinger Center for the Humanities, Princeton, NJ. 2005 Citation for Design, Boston Society of Architects – Shaw Center for the Arts, Baton Rouge, LA. 2005 Boston Society of Architects -Shaw Center for the Arts, Baton Rouge, LA. 2003 Chicago Athenaeum Distinguished Buildings Award – Boston Athenaeum, Boston, MA. 2003 Commonwealth of Massachusetts Division of Capital Asset Management – The New Chelsea Trial Court, Chelsea, MA. 2000 Citation – Two Rivers Landing (incl. Crayola Children’s Museum, National Canal Museum), Easton, PA (with assoc. architects Wallace & Watson). 1990 The Coffee Connection, Boston, MA. 1990 The Institute of Business Designers and Interior Design Magazine – The Spa at the Heritage, Boston, MA.